At every stage, research with and about Indigenous peoples must be founded on a process of meaningful engagement and reciprocity between the researcher and the Indigenous people. 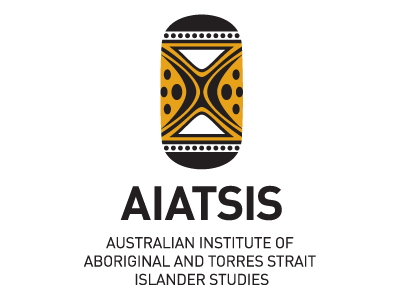 AIATSIS Guidelines for Ethical Research in Australian Indigenous Studies (GERAIS) ( 431 kb) were founded in 2000 with the aim of guaranteeing this process and the respect of Indigenous people’s rights. Principle 1: Recognition of the diversity and uniqueness of peoples, as well as of individuals, is essential. Principle 3: The rights of Indigenous peoples to their intangible heritage must be recognised. of Indigenous peoples must be respected, protected and maintained. Principle 5: Indigenous knowledge, practices and innovations must be respected, protected and maintained. Principle 6: Consultation, negotiation and free, prior and informed consent are the foundations for research with or about Indigenous peoples. Principle 7: Responsibility for consultation and negotiation is ongoing. Principle 9: Negotiation should result in a formal agreement for the conduct of a research project. their skills and experiences in research projects and processes. Principle 11: Indigenous people involved in research, or who may be affected by research, should benefit from, and not be disadvantaged by, the research project. Principle 12: Research outcomes should include specific results that respond to the needs and interests of Indigenous people. Principle 13: Plans should be agreed for managing use of, and access to, research results. Principle 14: Research projects should include appropriate mechanisms and procedures for reporting on ethical aspects of the research and complying with these guidelines. Categories: Articles of Interest, Books, Decolonisation, Indigenous, Indigenous Suicide Prevention, Suicide | Permalink.